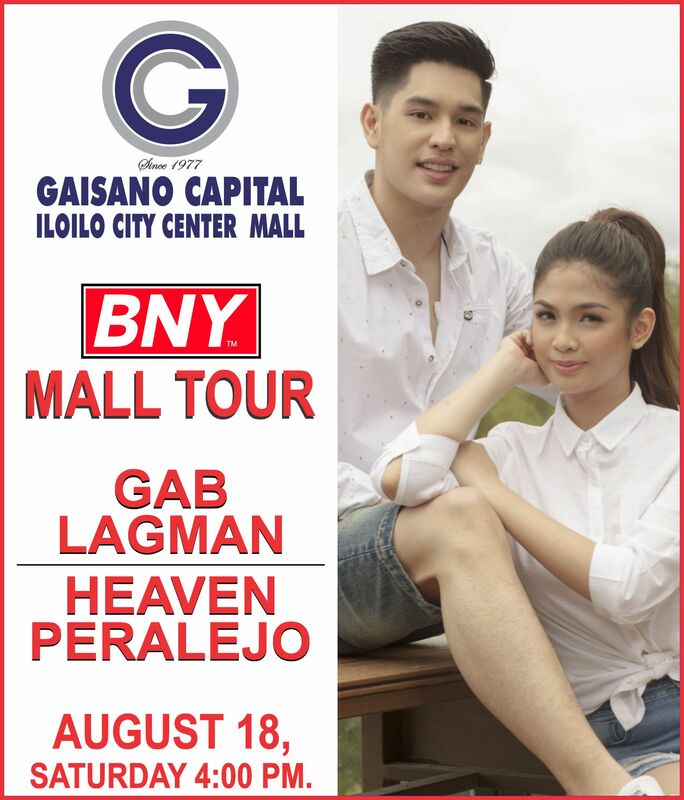 BNY Ambassadors Gab Lagman and Heaven Peralejo will be performing LIVE at ILOILO CITY CENTER MALL on August 18, Saturday (4PM). Get to see them up close and personal. See you there! ILOILO CITY CENTER MALL is located along Sen. Benino S. Aquino Jr Ave, Diversion Road, Iloilo City.